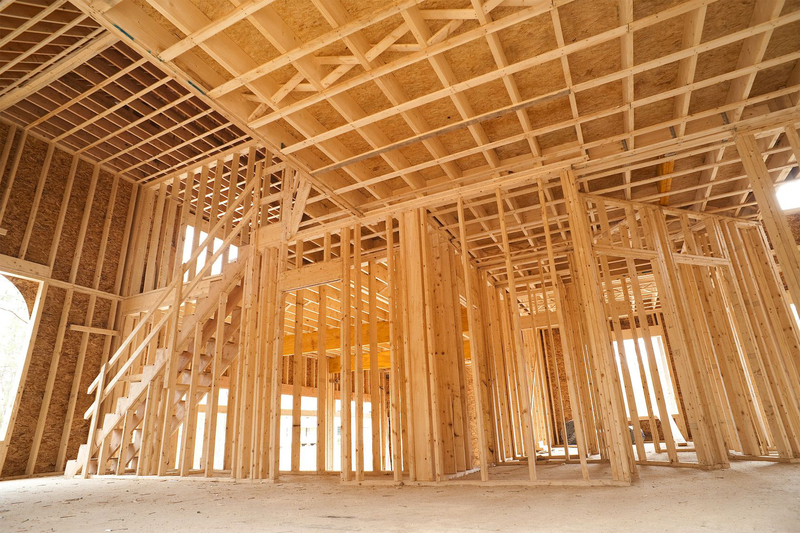 What are the market conditions for woodworkers involved in construction-based sectors and what are companies planning as investments to improve capabilities in the current business environment? 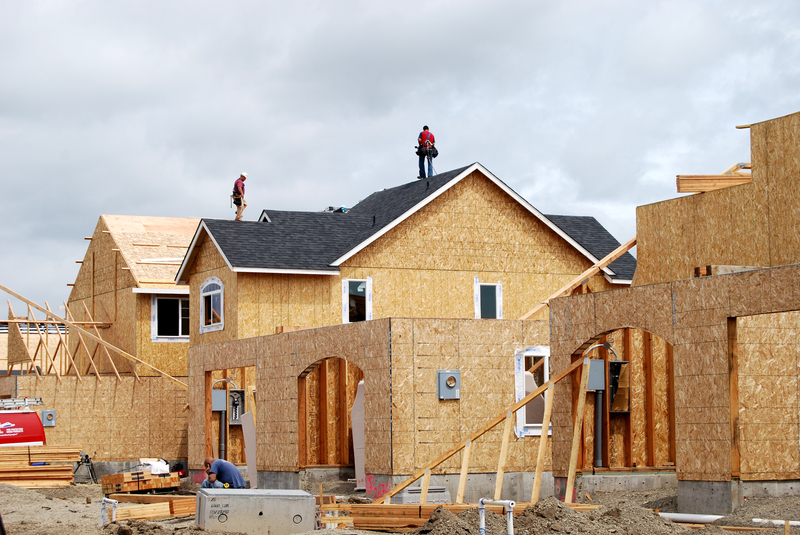 For a fifth straight year, construction-based markets continued their growth trends in 2016, as U.S. spending on single family housing, multi-family housing, and nonresidential construction all increased, with repair and remodeling increasing for a fourth straight year, according to the U.S. Census Bureau. The total value of construction put in place in these four sectors was $877 billion in 2016. It’s against this backdrop, that the eighth annual housing market study was conducted in early 2017. A joint effort by Virginia Tech, the U.S. Forest Service and Woodworking Network/FDMC magazine, the study examines whether the woodworking industry continues to realize sales volume increases; what investments are being planned to improve capabilities in the current business environment; the status and activities of U.S. manufacturers, as well as an analysis of what has changed since last year. 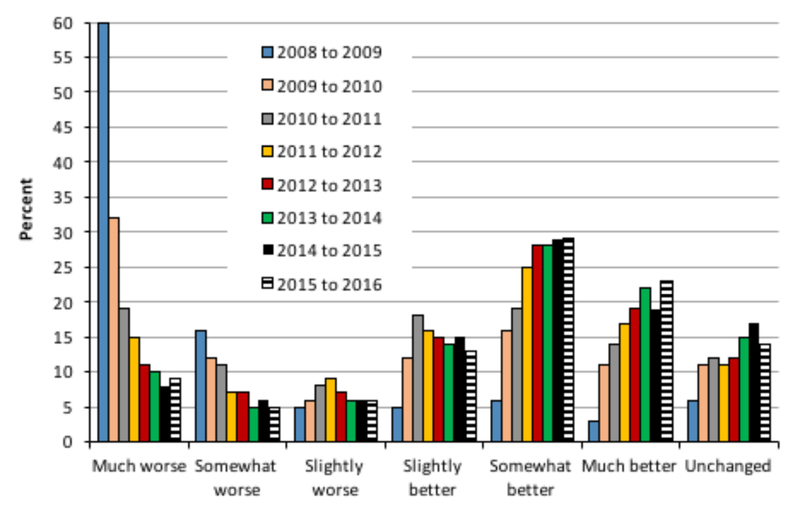 Analysis of year-over-year changes in sales volume performance over the past eight years shows continued improvement, with 65% of the survey participants indicating year-over-year sales increases, compared to 15% reporting no change, and 20% reporting a decline. What’s notable is the upward trend of the respondents in the Somewhat Better (sales up by 10%) and Much Better (sales up by 20% or more) categories, which accounted for over half the respondents in 2016. Overall, single-family housing and remodeling continue to be the most important volume markets for secondary woodworking manufacturers, with 87% of respondents reporting that at least some of their production volume was associated with repair and remodeling, followed by single-family housing construction at 82%, non-residential construction at 72%, and multi-family housing, 57%. Of those doing work in the single-family market, 60% indicated that at least a moderate amount of their production volume (21% or more) was directly associated with this segment in 2016, up from 49% in 2015. Not surprisingly, while consumers like to be perceived as environmentally conscious – they don’t want to pay extra for the privilege. There continues to be a declining trend in the number of respondents with customers seeking to source products compliant with green building standards programs. 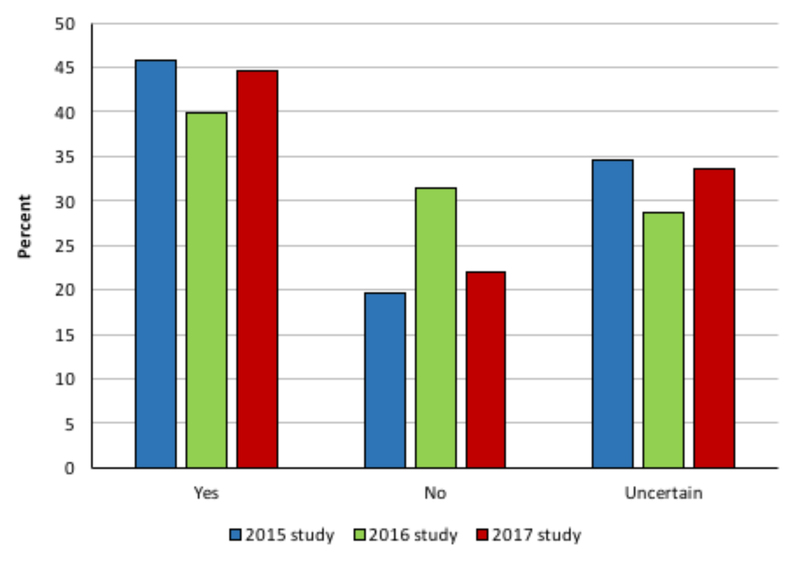 This year was no exception, with just 29% of the respondents indicating they had seen an increase, 57% reporting a decrease and 14% that were uncertain. This was the widest gap between the “yes” and “no” responses to date, with “no” up 10 percentage-points this survey year compared to last. 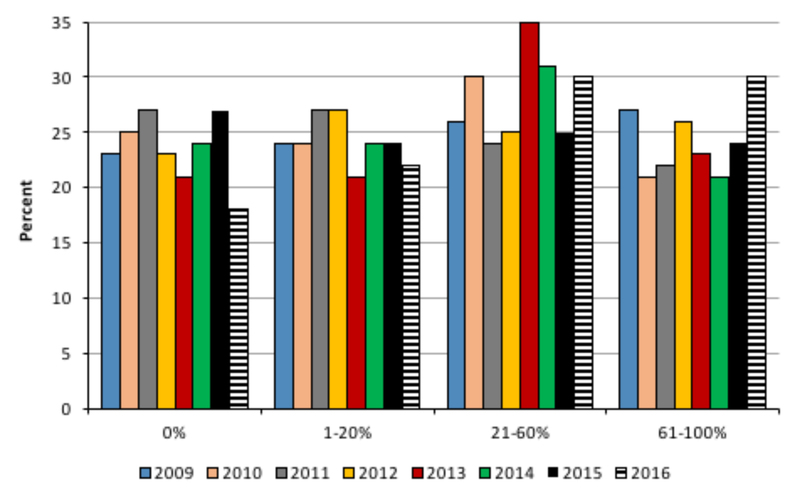 Demand for custom/Batch 1 production continues to be important with 51% of respondents indicating that more than 80% of their overall product mix could be classified as made-to-order, up slightly from the previous year, although lower than the 60-70% range from 2012-2014. And while the industry continues to target higher price-points, there was an apparent decline in 2017, with 54% of respondents reporting they operated at medium-high to high price-points, compared to the mid to high 60% range seen in previous years. Lastly, respondents continued to be domestically focused, with 89% indicating that more than 60% of their sales in 2017 would result from domestically produced and/or sourced products. However, about 31% indicated that they had increased the use of wood imports in their respective product lines over the past five years, which was the largest percentage to date. 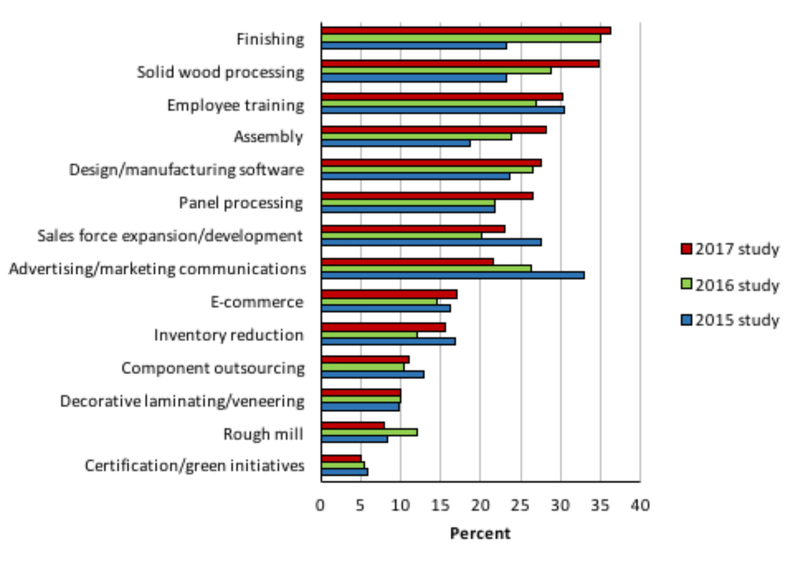 Of those reporting increased use of wood imports, 58% imported components or lumber, 16% imported finished products, and 26% imported both finished products and lumber or components. Where and how much are companies willing to invest in order to grow their business? For 2017, 45% of respondents planned to invest more dollars than in the previous year, compared to 40% in the 2016 survey and 46% in 2015. It should be noted that each year, a substantial percentage of respondents are uncertain whether they would spend more on investments or not, ranging from 33% in 2017, to 29% in 2016 and 35% in 2015. When asked about their firms’ investment plans over the next three years, 69% of respondents indicated they would spend less than $250,000 in the 2017 study, which is similar to the 2016 (71%) and 2015 (68%) studies. An interesting trend was observed at the high end of the scale (investments greater than $2.5 million), where the percentage of firms has increased steadily over the past few years, to 7% in 2017. 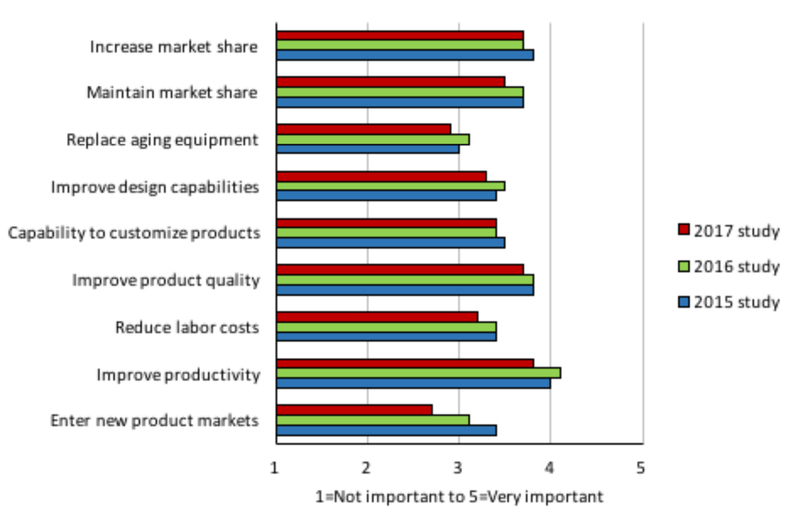 We’re also seeing less spending in management-based investments such as sales force development (23%) and advertising/marketing communications (21%), although increasing market share is almost equal in importance to improving product quality and productivity when it comes to ranking the factors for investment plans. 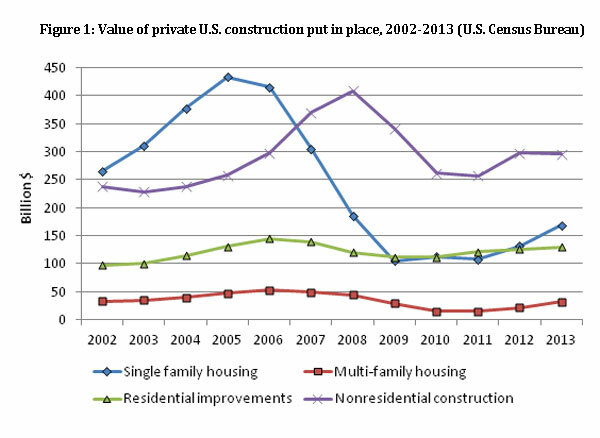 The single family housing market is improving, and therefore increasing in importance for woodworkers. Remodeling also remains an important market, with more than 80% of respondents indicated that at least some of their production volume was associated with those two markets. Manufacturing-related investment activity also has been increasing relative to management-based investments as construction markets have improved. Since most respondents each year represent small companies, most indicate planned investments of less than $250,000 over the next three years; however, the percentage of respondents planning large-scale investments (greater than $2.5 million) has steadily increased over the past three study cycles. Changes in year-over-year sales volume has largely stabilized, with only about 20% of respondents now indicating that sales volume is declining. However, even with the stabilized markets about one-third of the respondents were uncertain of their investment plans for 2017. This is the eighth consecutive year for the Housing Market study. While several of the questions have remained the same from year to year to help track industry activities, more recent studies also have included questions related to investment activities. The 2017 survey was conducted in February and March by Woodworking Network/FDMC magazine via e-mail invitations sent to their subscribers. A total of 203 usable responses were received. Similar to past years, kitchen/bath cabinet producers comprised the largest percentage of the sample, representing 43% of respondents. Fourteen percent of respondents were household furniture producers, 12% were architectural fixture manufacturers, 9% were millwork firms, 7% were producers of dimension or components, and 3% manufactured office/hospitality/contract furniture. While an additional 11% indicated their production was in “other” categories, most could reasonably be classified into one of the aforementioned categories (especially millwork) or a combination of these categories. Similar to past years, most responding firms were small, with 57% having sales of less than $1 million in 2016, and another 25% having sales of $1-$10 million. Furthermore, 69% of respondents had 1-19 employees, which was down from 72% in 2016 but still the second-highest proportion of small firms in any of the study years (at least 61% of the sample has consisted of small firms in each year). A majority of respondents (63%) held positions in corporate or operating management, and another 16% indicated they were the owners of their respective firms. Similar to past years, responses were received from 42 states, with CA, FL, MN, NC, OH, PA, and TX having the most participants and each accounting for at least 4% of the total responses. About the authors: Urs Buehlmann is with the Department of Sustainable Biomaterials at Virginia Tech, Blacksburg, Virginia. Matt Bumgardner is with the Northern Research Station, U.S. Forest Service in Delaware, Ohio. Karen Koenig is an editor at Woodworking Network. 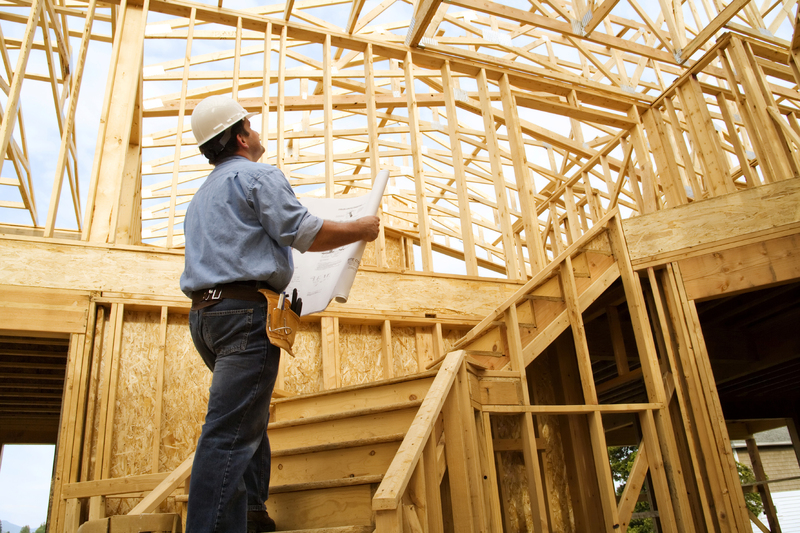 Woodworking & housing: Where's the spending?